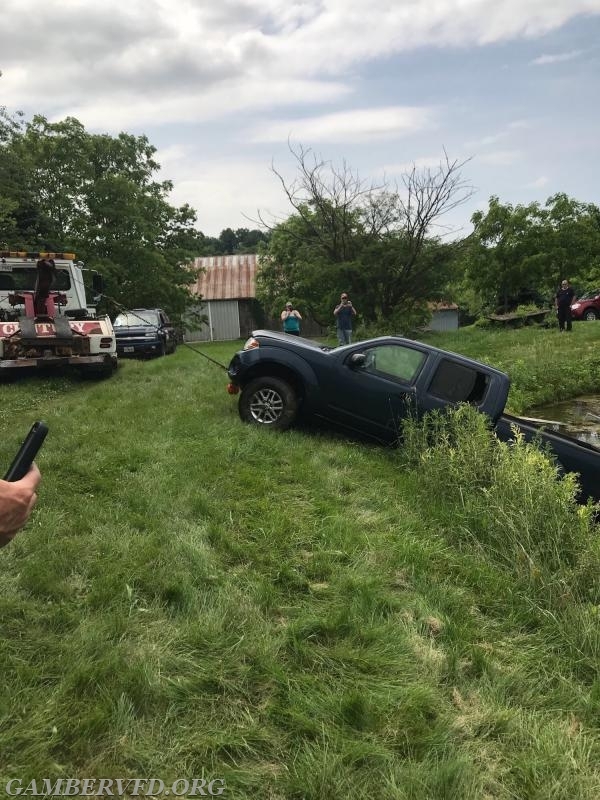 On June 7, 2018 at approximately 10:00 am, the Gamber & Community Fire Company Water Rescue Team assisted the Union Bridge Fire Company with recovering a vehicle from a farm pond. 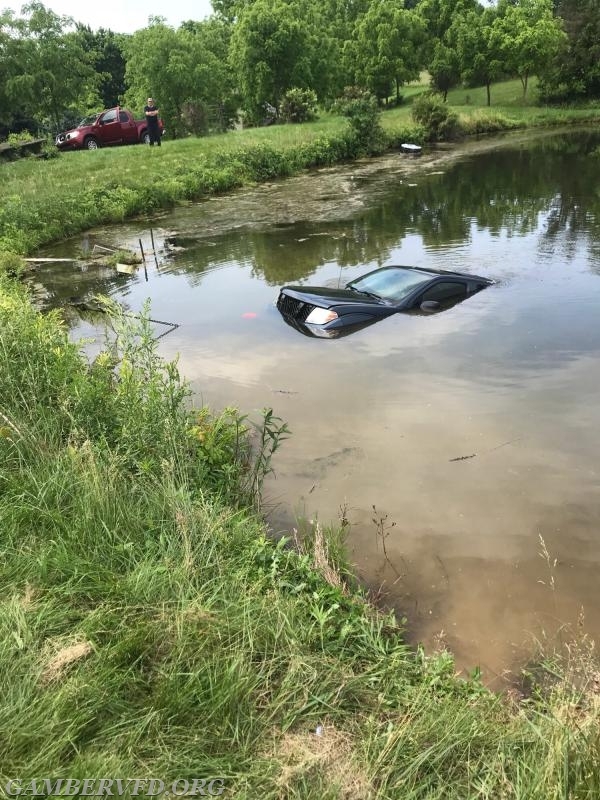 The vehicle came from a residence approximately 100 yards uphill from the pond. 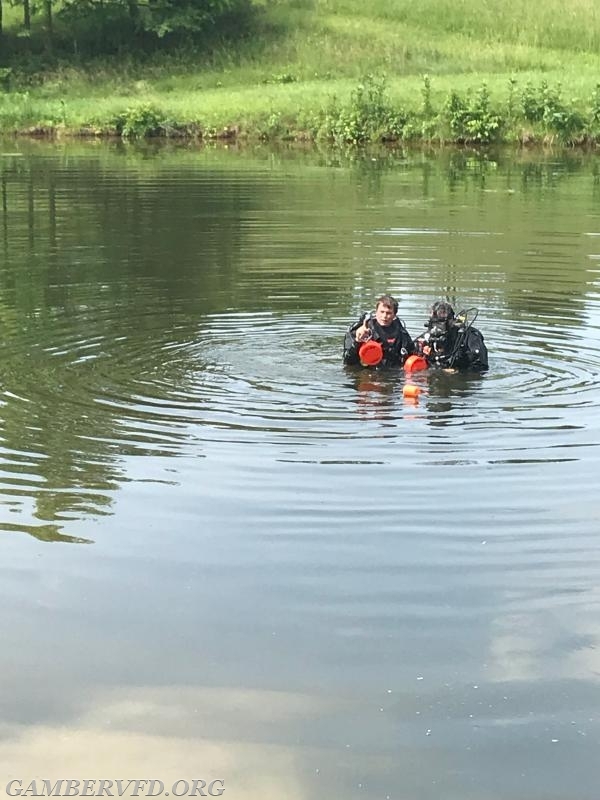 Union Bridge members located and marked the location on June 6th, but were unable to reach the vehicle which sat in 11 feet of water. 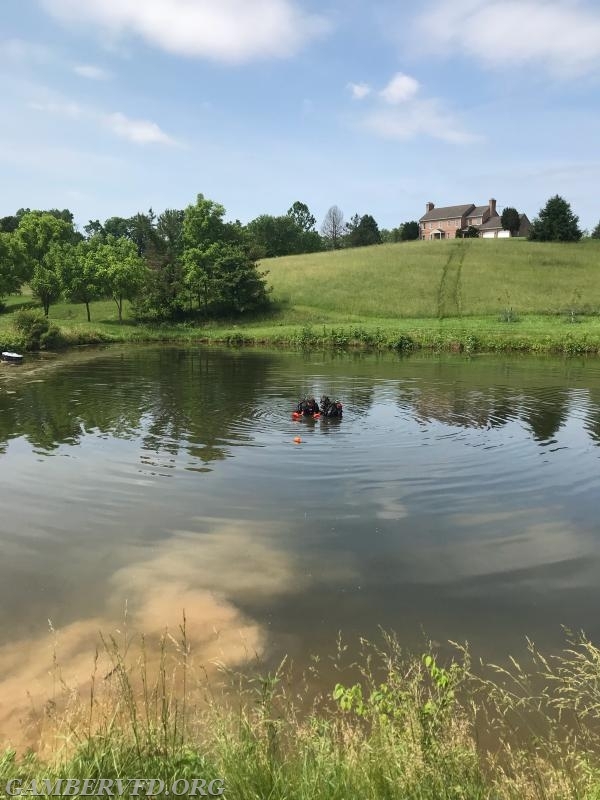 Divers located the vehicle and attached a cable from a tow truck from Tuck's Garage and the vehicle was safely removed from the water. Units cleared the scene and were back in-service by 11:00 am.